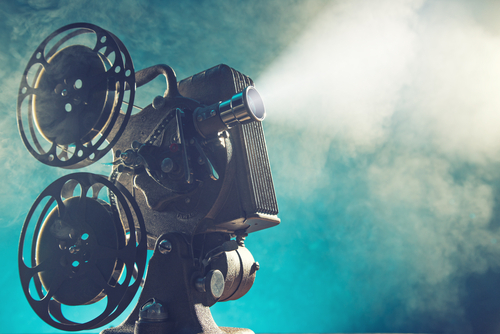 Since perfecting the studio system of motion picture production in the early 20th-century, Hollywood has dominated the international film scene. Even today, if you want to immerse yourself in the world of blockbuster productions, L.A. is the place to be. If you’re interested in experiencing the full scope of what cinema can do, however—from indie films by emerging talent to experimental art-house production to documentaries, foreign film, and more—New York delivers the most cutting-edge work expanding the boundaries of what cinema is and could be. From Wednesday, April 24, through Sunday, May 5, NYC will host the 18th Annual Tribeca Film Festival, recognized across the world for shining the spotlight on never-before-seen films by both industry giants and the most promising up-and-coming talent around. The festival will open at the legendary Apollo Theater with the world premiere of The Apollo, a riveting documentary from Academy Award-winning director Roger Ross Williams. In The Apollo, Williams tells two overlapping narratives: one the story of the Apollo Theater itself, which since 1934 has been a bastion of African-American expression and advancement through the arts, the other the story of the theater’s staging of a particularly breathtaking performance, Ta-Nehisi Coates’s Between the World and Me. Among the other 102 titles going up at the festival are world premieres by Christoph Waltz, Margot Robbie, and Jared Leto and documentaries by Werner Herzog and Antoine Fuqua.